Vov Dylan has been touring Australia for over 10 years with his brand of light entertainment. 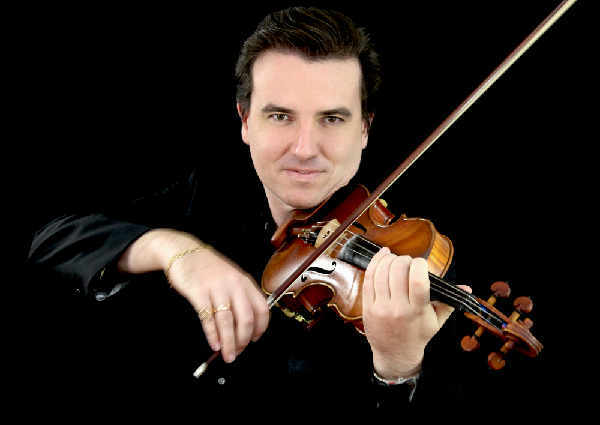 He and his orchestra have been nominated for awards, have been heard on Radio, recorded for TV and Movies, and Vov has been called amongst many other things Australia’s Andre Rieu. In October 2012 Vov brought together in Humph Hall the finest string musicians he has worked with to present a new and unique show featuring Viennese Orchestral classics from Strauss, Lehar, Brahms plus a few Gypsy favourites! Vov brought new life to these classic works with all new arrangements to give a rich string ensemble sound and a new interpretation of pieces loved by many generations of audiences. The performance was recorded and a CD called ‘Q’ was produced. Since that time Vov Dylan and his String Quintet return regularly each October with further delightful afternoons of fine music.